Looking for the best and most reliable workshop? We provide repair services for all major brands such as Apple, Samsung, Nokia, HTC, Blackberry, Sony Ericsson, Google, Motorola, LG, and much more. For professional service, quality and reliability, there is only one place to go, iWorkshop. Currently we two major branch locations. We promise to deliver quality parts, backed with full warranty and quick turn-around times. Our professional and certified technicians will give you the peace of mind you deserve. Whilst you relax knowing that your precious mobile phone, tablet, laptop, or desktops are in the safest of hands. 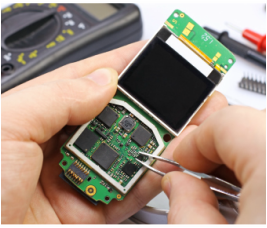 We provide repair services to all major brands such as Apple, Samsung, Nokia, HTC, Blackberry, Sony Ericsson, Google, Motorola, LG, and much more. Regardless of the issues or repairs needed, we have your solution!